As an alumna of Drexel University – I’m thrilled to learn that they had a nearly 90% pass rate on their first class to take the bar exam. 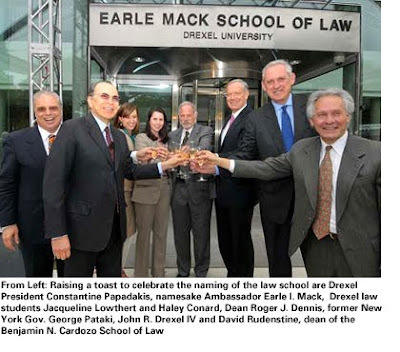 Gina Passarella of The Legal Intelligencer reported today in a story titled Drexel Students Make Strong Showing in Inaugural Bar Exam. I can image our dear friend, Taki, looking down from a much higher post, smiling and toasting this wonderful accomplishment. Hats off to his vision and guidance and kudos to the leadership, administration and hard-working law students. Welcome to the profession.